Del Rey published Making of Star Wars: The Definitive Story Behind the Original Film ten years ago today. The book, written by J.W. Rinzler, hurtled readers back in time for a definitive look at the making of the original Star Wars movie. The author watched and listened to over fifty interviews during the years 1975 to 1978. These interviews were stored in the Lucasfilm Archives and untouched for three decades prior to the release of Rinzler's book. 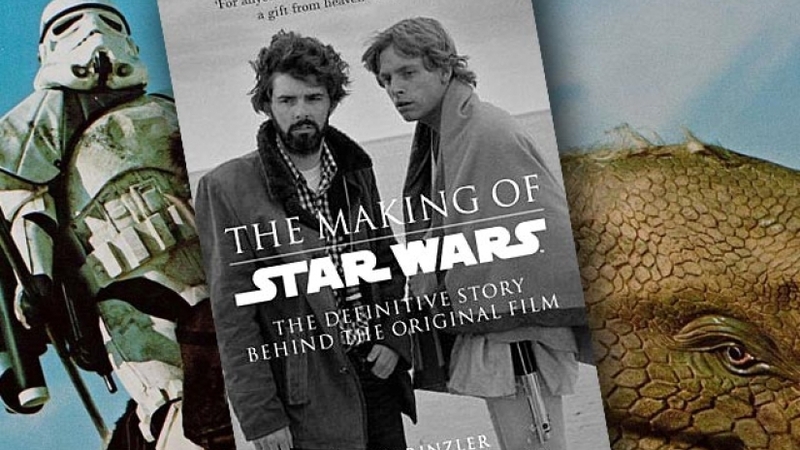 The now ten-year-old book also includes excerpts from George Lucas's numerous and ever evolving script drafts and hundreds of images which spanned the making of the film. Critics discern The Making of Star Wars as a piece of cinema history, telling the factual story of how the film was created. Can you remember reading this book? Let us know your thoughts in the comments below.